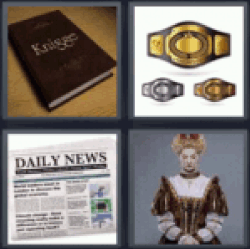 4 Pics 1 Word Knigge. Knight. Champion Belt. Daily news. Queen. I really enjoy this game. One of my favorites.